I have never watched a movie that featured Jason Statham as the lead character, but I have noticed a common theme from the trailers. They all seem to be long on action and short on story featuring fisticuffs, gunplay, and car chases galore. To me Statham has always seemed like a cheap man’s Jean Claude Van Damme (Double Impact), which more or less sums up why I have stayed away from his films. Safe is a flick that’s been sitting on my Netflix queue for a bit, slowly inching its way up to the top of the list. So when the film finally arrived in that signature red envelope, I decided to finally give Statham a chance. Safe chronicles the story of a young mathematics savant from China (Mei played by Catherine Chan) and a disgraced former cop from New York who cross paths when the young girl finds herself at the center of a massive push and pull between the Chinese mafia, a Russian crime lord, and corrupt New York cops. When she is entrusted with a valuable code, Statham’s Luke Wright takes it upon himself to make sure Mei makes it to safety. The movie plays better than I expected, but it is very short on depth and character development. It wants to be an adrenaline rush of a movie in much the same way that Premium Rush is, only it is not as cleverly executed and the acting is clearly a couple of steps down. The action sequences are the strong point of the film as they are brisk and lively, but unfortunately the plot’s sensibilities are critically flawed. Needless to say there are more holes in this film than a block of Swiss cheese. 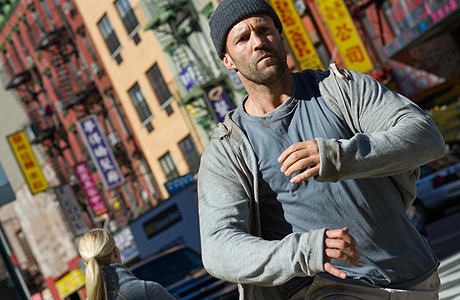 Statham is decent in the role of Luke Wright. As an actor he is a one trick pony so it behooves him to play these characters that have a singular focus for destruction. Unfortunately for him, his credibility takes a hit every time he utters a spoken line. Catherine Chan as Mei is adequate – doing just enough to sell the part. As child actors go, she doesn’t do anything to distinguish herself, but certainly did nothing horribly wrong. As for the rest of the cast, there are a bunch of vaguely familiar role players like James Hong (Balls of Fury), Reggie Lee (The Dark Knight Rises), and Robert John Burke who do their typical yeoman’s work without leaving a particular stamp on the film, as well as a bunch of not-ready-for-prime-time actors mucking up director Boaz Yakin’s fast food production. But then this is a C-level production masquerading as a B-level flick so mediocre acting is to be expected. How you’re going to react to this movie depends on what you are looking for going into it. If pure action is your cup of tea, then you will find this to be a moderately entertaining movie. If you’re looking for Meryl Streep and Dustin Hoffman in the next great American classic based off of a canonical piece of literature, then this one will lose you in the first five minutes. I suspect that for those in between the two extremes, this is a cable TV movie all the way. There’s always room for another gun toting, fist flying, car driving action flick. You just don’t necessarily need to go out of your way to see them all. Wait on this for a rainy day for maximum value. Standout Performance: James Hong. Not so much for this movie, but more for his body of work. The man has been in everything from Big Trouble in Little China, to Wayne’s World 2, to the yet to be released R.I.P.D. Keeping in line with my recent run of horror flicks, I decided to give The Possession starring Jeffrey Dean Morgan a look. I have never been too keen on Morgan, who got his big break on Grey’s Anatomy. His resume is littered with underwhelming films like Red Dawn, Watchmen, and The Losers and for some unknown reason, he has always come off as a cheap man’s Gerard Butler. Ouch! So I had pretty low expectations going into this movie, figuring it would slot itself a slight step down from Ethan Hawke’s Sinister. Having seen the movie, I can tell you that I was spot on with that prediction. The plot of the film focuses on Clyde (Jeffrey Dean Morgan), a recently divorced basketball coach, who is trying to adjust to limited visitation rights with his children. When he and his daughter purchase an old relic at a garage sale, odd unexplainable events begin to occur that threaten to unravel his tenuous relationship with his wife and children. Meanwhile, the frequency and intensity of those events continue to increase as the plot follows the typical exorcism movie paradigm. Watching a lot of horror movies is not unlike watching a magician over and over again. Sooner or later you learn the tricks of the trade and start anticipating the tricks before they fully play out. 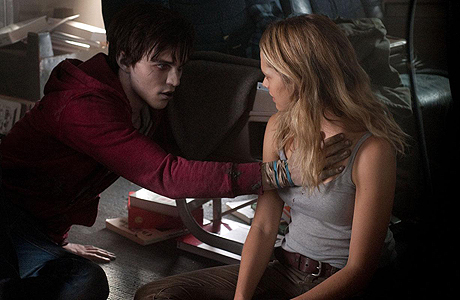 So really, it’s hard for these films to genuine surprise a seasoned horror film fan. Movies like The Blair Witch Project and Paranormal Activity that approach the genre from a different direction do not come along too often. In this regard, The Possession is in no way ground breaking and thus is on par with its highly formulaic brethren. Despite its mediocrity, there is an attention to the dynamics of the family that really works for this film. It creates a layer of tension completely separate from that sparked by the paranormal. Jeffrey Dean Morgan is fairly convincing as a man who is not quite broken but not exactly firing on all cylinders. Kyra Sedgwick, as his wife Stephanie, does a solid job working off of Morgan and creates a second source of antagonism in the plot. As for Natasha Calis and Madison Davenport, both of whom portray the daughters in the family, their work is no better than the average child actor’s performance, but then that really falls in line with the overall tenor of the film. Despite the handful of things that work in this movie, there are a number of issues that hinder the proceedings. Logic leaps, unoriginal visuals, and a somewhat anti-climactic ending prevent this from being something more than the typical fright fest. Ole Borndal does a decent job from a technical aspect of putting these scenes to film, but at the end of a day, a horror movie needs to provide thrills and chills. And in this regard the film fails to differentiate itself. I don’t recommend this movie, but I also wouldn’t fault someone for giving it a look – especially if you are a suspense/thriller junkie. There are so many titles that are similar to this that there really is no need to go out of your way to see this movie. If you accidentally happen upon this movie via cable or On Demand on a cold October night with a bowl of Halloween candy by your side, then you might find some entertainment value in this movie. Otherwise, know that the amount of investment you place in this movie (in terms of money and effort) is inversely proportionate to the amount of enjoyment you will experience. Standout Performance: Matisyahu as the Tzadok gets the nod for turning in an unusual performance. Zookeeper, The Dilemma, Grown Ups, Paul Blart: Mall Cop, I Now Pronounce You Chuck & Larry – when you look at this lineup of movies, you realize (if you haven’t already) that there is absolutely no reason to ever believe that a Kevin James’ movie is going to be good. Even blind faith has its limits. Still, I really wanted to like Here Comes the Boom. The trailers made me laugh; the premise teased a feel good ending; and the movie featured Salma Hayek. I thought to myself, “what’s not to like about that?” And then I watched the movie. The plot of the film follows Scott Voss (James), a lazy schoolteacher, who springs to action when budget cuts threaten the job of beloved music teacher Marty Streb (Henry Winkler). Inspired by Streb’s dedication to his students and by the prodding of Salma Hayek’s Bella Flores, Voss looks to save the day by raising $50K. A series of events lead him to low level MMA fighting and hilarity ensues. To really wrap your head around this movie, you have to look at it as a mix between Mr. Holland’s Opus, Warrior, and Zookeeper. Really. And if you happened to like all three of those movies, then this just might be the movie you’ve been waiting for. Most everyone in the film is affable and good-natured and the story has just enough corny sentimentality to keep you marginally invested in the plot, but where the film ultimately fails is in the comedy department. You know going into this film that you’re going to get Woody Allen’s wit, Spielberg’s pacing, or J.J. Abrams’ lens flare, but what you do expect is a couple of sight gags that will leave you rolling on the ground. Unfortunately, those are in short supply. Henry Winkler more or less embodies what works best in this movie. He brings a delicate touch to the role of the role of the beloved music teacher. His performance not only infuses sentimentality into the proceedings but also provides the set up for some nice comedic moments. Salma Hayek is highly competent in regards to providing some onscreen sass and poking fun at James’ protagonist. It’s not one of her best performance, but her presence onscreen always feels like a welcome addition to the proceedings. Kevin James on the other hand is fairly unremarkable. He delivers a more understated performance than what we have grown accustomed to. So rather than a flamboyant crash and burn as he is wont to do, in Here Comes the Boom he comes off as mundane and banal. Are there occasional flashes of comedy? Yes, but those moments are muted and few and far between. And that’s a fatal flaw for a movie such as this one. As for the rest of the cast, their work is mostly hit or miss. Bas Rutten and Charice come off as very green; comedic veterans Greg Germann and Joe Rogan are not given much screen time to work with; and Gary Valentine seems content to ride the coattails of his celebrity friends. None of this comes as a surprise as the film is helmed by Frank Coraci, a director with a long history of delivering sub par directorial efforts. At the end of the day, it is not the worst movie Kevin James has ever done – far from it, but it is unremarkable in almost every way. I tend to believe that as long as a movie has one redeeming quality, then it may be worth a look. Here Comes the Boom unfortunately is mediocre across the board and because of this I am hard pressed to recommend it. This movie screams TBS two years down the road on a night where all other shows are airing reruns and nothing else is happening in the world. Under any under circumstances, watching this movie would have to be deemed a mistake. Standout Performance: Henry Winkler. He may not be the Fonz anymore, but Winkler still has a clever comedic sense. 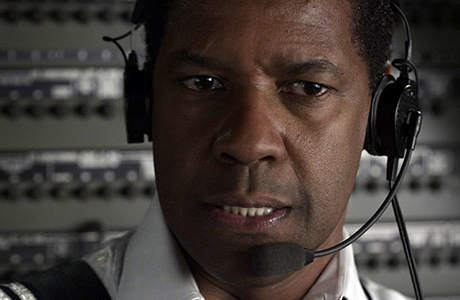 My guess here is that Denzel Washington’s Flight will never be a part of any airline’s In Flight Entertainment package. 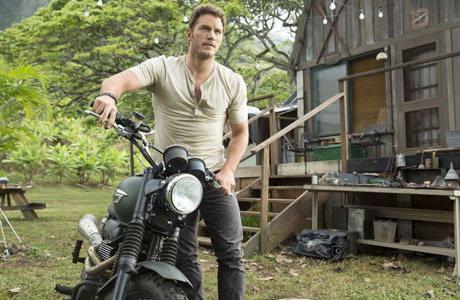 Not because the movie is terrible (it’s merits we will debate later), but because of the fantastically implausible crash scene that sets the film’s wheels in motion. 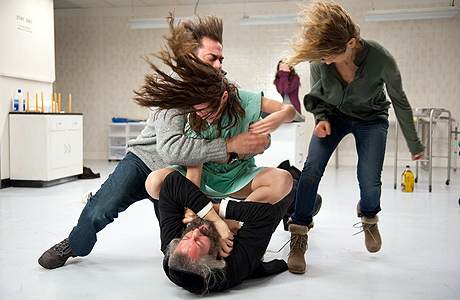 As for the substance of the film, it is a wolf in sheep’s clothing - a dark character piece initially disguised (or marketed) as lighter fare wrapped around a large-scale action sequence. And because of this, most of the film feels like a letdown for the typical viewer - as it is no easy thing to adjust one’s expectations mid-film. 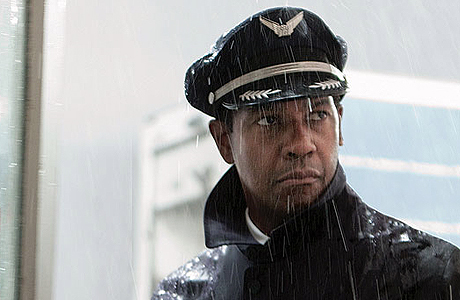 The plot of the film seems to be about Whip Whitaker (Denzel Washington), a pilot who miraculously lands a plane and must deal with the fallout from the event. This includes both a federal investigation and a rabid media frenzy. And in many ways that is precisely what this film is about. But more than that, Flight is truely a narrative of addiction and one man’s struggles with chemical dependency as it details the trail of lies, fractured relationships, and abusive behavior born from this struggle. With Robert Zemeckis directing, Denzel Washington starring, and Don Cheadle in a support capacity, this movie should have been a slam dunk. And I am sure that when they put this together, they had visions of Oscars dancing in their heads. Unfortunately, the pieces don’t really come together the way they should. It starts with the expectations. The pace starts quick with the set up and the crash but things come to a screeching halt, and this is strictly by design. This film is meant to be a slow burn, a character sketch that peels away the layers of lies and addiction. While the pieces are in place to make this work, the issue with this film is that the struggle becomes overly internalized and that is something very difficult to capture on film. It takes a nuanced performance to pull that off and as great a career as Denzel Washington has had, nuance is not exactly his forte. It is widely known in Hollywood circles that Denzel Washington is extremely difficult to work with – on par with the likes of Russell Crowe, Tommy Lee Jones, and Eddie Murphy. So asking him to play a cantankerous narcissist is no huge stretch. But when you look back at his resume, his best work involves his portraying individuals with larger than life personalities (Malcom X, Remember the Titans, Training Day). A small character piece is something I would argue that he has not had to pull off, and with this film we find out why. The role of Whip Whitaker requires something different than Washington’s typical delivery, and because of that, this movie fails to be as incisive as writer John Gatins probably intended it to be. As for the supporting cast, they turn in a mixed bag of performances. Don Cheadle is solid as the criminal attorney for the defense, delivering the morally ambiguous cool typically attributed to lawyers on screen. Kelly Reilly, as a struggling addict, and Bruce Greenwood, Nadine Velazquez, and Tamara Tunie - as employees of the airline – are satisfactory. None of the four truly stands out, but each hits the right notes when necessary. Bringing up the rear is John Goodman as drug dealer Harling Mays. Goodman is over the top and lacks any credibility whatsoever. As good as he was in Argo, his performance in Flight is the polar opposite. As I look back at this movie, I don’t think it is terrible. There’s just nothing in this movie that I haven’t seen done already in other films and with greater execution. Entertainment value can be found in Flight so long as you go in with the proper expectations – that it’s not a briskly paced movie, no matter what the trailer or the first twenty minutes would have you believe. It’s a chemical dependency film, plain and simple and a slowly paced one at that. I would put it on your rental queue and save it for a slow midweek night. And if you’re really just looking for a good Denzel Washington movie to watch, I would suggest looking elsewhere. There are so many other films that better illustrate his acting talents. Standout Performance: Don Cheadle. It’s not his best work, but it is still head and shoulders above the rest of his cast mates. Why You Should See It: Because it looks like a fun take on the Zombie genre with a little romantic comedy mixed in for good measure. Why You Should Avoid It: Because you don’t like zombies. 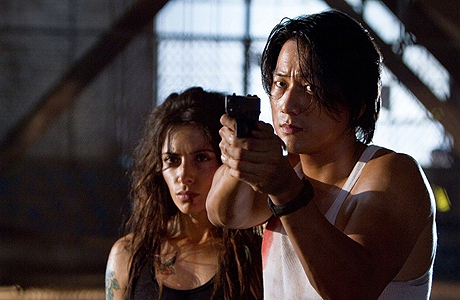 Why You Should See It: Sarah Shahi and Sung Kang. Why You Should Avoid It: Sylvester Stallone and Jason Momoa. 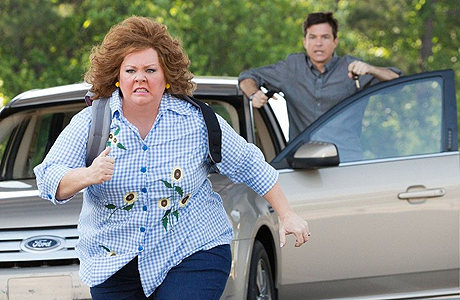 Why You Should See It: Because Jason Bateman and Melissa McCarthy in the straight man/funny man routine on paper sounds like it could be hilarious. Why You Should Avoid It: Because on paper doesn’t always translate smoothy to the real world (see also, The Change Up). And the Magic 8 Ball Says: Close but no cigar. Why You Should See It: Because 70% of the time Director Steven Soderbergh delivers intelligent films. Why You Should Avoid It: Because 30% is still a pretty big number and because I still don’t buy Channing Tatum as a dramatic lead. Why You Should See It: Because it’s John McClane! Why You Should Avoid It: Because it was John McClane in Die Hard with a Vengeance, and Live Free or Die Hard and those didn’t turn out very well. And the Magic 8 Ball Says: Yes, for old time’s sake. Why You Should See It: Because of Emmy Rossum. Why You Should Avoid It: Because of everything else. Why You Should Avoid It: Two words – Nicholas Sparks. 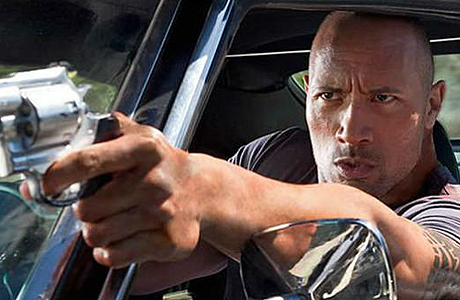 Why You Should Avoid It: Because Dwayne Johnson movies don’t deliver much else besides action. I have been on a horror/suspense/thriller run lately with House at the End of the Street and Paranormal Activity 4 and most recently with The Apparition and I am sorry to say that the experience has been a rapid descent into cinematic futility, and this is coming from someone who likes horror movies. I go into these films with diminished expectations. I know the acting is going to be sub par and that most directors are going to compensate for a lack of true tension with cheap one-off scares and excessive gore. So my being disappointed by a horror movie, is the equivalent of coming out of McDonald’s and being disappointed with the Big Mac. You know, it had to be really really really bad. The Apparition is the story of a Kelly and Ben, two young adults who move into a mostly unoccupied development in Arizona. They immediately begin to notice odd occurrences that increase in frequency and menace. What Kelly does not realize is that Ben once participated in an experiment to contact a deceased individual. The rest of the movie details their attempts to uncover the who, what, and why of their circumstances. In my estimation, that quick synopsis is better than the experience of watching the movie, and I say this not because I am pumping my own tires, but because the film is poorly written, directed, and acted. There’s no urgency or depth, and there’s a general apathy that pervades this film that will render you a passive and ambivalent viewer to the nonsensical events onscreen. As both writer and director of this film, I would say that all the blame falls on Todd Lincoln’s shoulders. I wonder whose nephew he is to have gotten this gig and wonder if he has any back up plans for a career. It’s just that bad. As for the cast, it’s really hard to fault them because I think they gave exactly what you would expect. I have never seen Ashley Greene’s work before, but she turned out to be precisely what I thought she would – an attractive woman with almost no acting ability whatsoever. Sebastian Stan, as Greene’s cantankerous boyfriend, sleepwalks his way through the movie barely raising as much as an eyebrow at the paranormal activity. And as for Tom Felton (Malfoy from Harry Potter), he is completely unremarkable in what little screen time he is given and is rendered a complete non factor. So when you look at the production from top to bottom, it becomes immediately apparent that there are no redeeming qualities and no entertainment value to be found in this movie whatsoever. With little tension and very few scares, the movie plays like an inconsequential series of silly events. This movie is an absolute no and should be avoided at all costs. Even the most ardent fan of Ashley Greene would have to admit as much. If it’s a thrilling movie that you seek, I recommend just about every other horror movie ever made over this one. There is a 99.9% chance you will be far more entertained. Most people would agree that Quentin Tarantino is a creative individual. Whether he is a good writer is a topic more up for debate. To me, Django Unchained illustrates the dichotomy between that creativity and literary arts as the film is loaded with dynamic visuals and cinematic flair, but is often anchored by rudimentary logic and clunky dialogue. The result is an entertaining movie that lacks the foundation upon which to build a truly strong cinematic narrative. 1. The writing. Tarantino’s creativity really pops in those climactic moments when the pieces on the proverbial board come to a head. There’s always a hip fan boy flair to these climactic scenes and an eye-popping attention to detail. The problem though is with the rest of the film. Dialogue, exposition, and the other nuts and bolts of story telling are the connective tissue that tie a film together and unfortunately at times Tarantino skimps out in those areas. That quality is precisely what keeps this film from being something more than just an entertaining jaunt. 2. The second reason I would not see this movie again is Jamie Foxx. With all due respect to his apologists, the man is not much of an actor. He is a great impersonator – as many comedians are, but when asked to give an original performance, he tends to underwhelm. Without a doubt, he is the weak link in the cast, and that’s incredibly problematic since he is the protagonist. 3. The third reason is the length of the movie. There is this trend amongst “cinematic auteurs” to put as much as possible into a film with little or no regard to flow and pacing. This almost always detracts from the film experience – particularly when it comes to the action genre, and detracts from the final climactic scene. Less can be more, especially when it comes to editing matters. 1. Christoph Waltz as Dr. King Schultz. 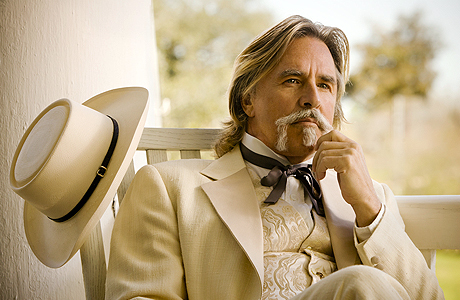 The key to films like Django Unchained is that there has to be heart at the center of the plot driving all the action. Otherwise, it’s just purposeless violence and that can only hold an audience captive for so long. 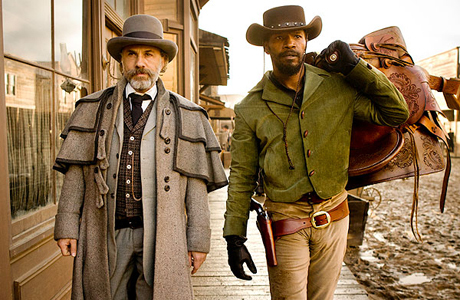 Jamie Foxx’s Django is meant to serve in this capacity, but fortunately Waltz is able to deliver where Foxx falters. His masterful performance becomes that emotional center – the heart, the sympathy, the love, and the loyalty, that engages the viewer and keeps them invested in the outcome. 2. Leonardo DiCaprio as Calvin Candie. This role would have been a challenge for even the most accomplished character actor to portray. 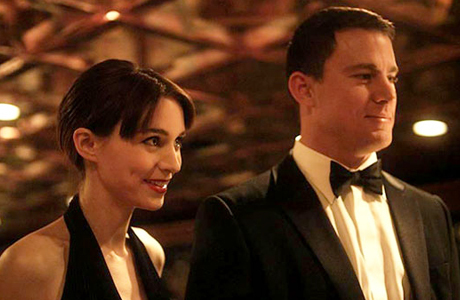 Candie is vile, flamboyant, and nuanced. 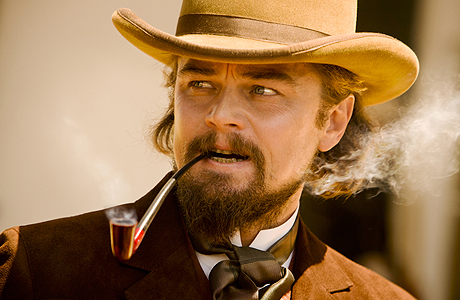 With the dialogue that Tarantino saddles upon this character, I could envision dozens of scenarios where this performance could have gone horribly awry, but to his credit, DiCaprio is able to not only prevent Candie from morphing into a caricature of epic of proportions but also to deliver a complex performance loaded with conviction. 3. 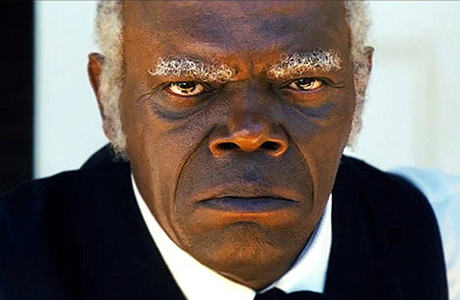 Samuel L. Jackson as Stephen. There was point somewhere in Jackson’s career where he decided to do the Nic Cage money grab and accept every role thrown at him. So much so that he could easily have usurped Kevin Bacon in the 6 Degrees of Bacon game. Worse still is that he resigned himself to simply rehashing slightly altered versions of himself as Shaft in each of these movies. In the same way that it finally felt like Bruce Willis was really trying again in Looper, that’s how I felt about Jackson in this film. His performance was pointed, funny, duplicitous, and a bunch of other adjectives that people stopped using in regards to Jackson’s acting. So when you consider the good and the bad, it becomes apparent that Django Unchained is an entertaining but flawed film. It’s a fine line between quirky brilliance and utter camp and Tarantino typically hops over the line numerous times in his film. Django Unchained is no exception to this rule. But then you don’t go to see a Tarantino movie and expect high art, sweeping story arcs, and deep character development. Those films come from the Steven Spielbergs of the world. Django Unchained is for those on the other end of the spectrum who watch for the spectacle and are captivated by the visual. If you find that you fall into the latter, then you will definitely want to see his movie on the big screen. It will not disappoint. If it is the journey more so than the destination that makes a movie for you, then I would see it as a rental. You may not love this movie, but you will be entertained. Standout Performance: Christoph Waltz. A very strong character performance in movie otherwise driven by action. 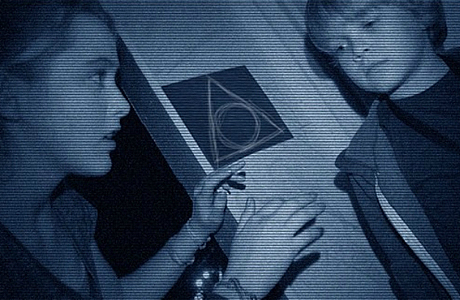 The Paranormal Activity movies have been a rollercoaster ride for me – a very up and down experience with the first film as the high point, the second film the low point, and the third somewhere in between. So I approached the fourth film in the franchise with no delusions and with what I thought were a realistic set of expectations. There was sure to be a flimsy excuse for a house full of cameras, mediocre acting, and people being dragged violently by an invisible assailant. And sure enough, all three were in the picture, but what was oddly missing from the fourth installment was any real sense of tension and the bombastic ending we’ve come to expect from these movies. When last we ventured into this world, we were given a view into the backstory surrounding Katie (Katie Featherston) and how she had come to be haunted by this mysterious demon. This film picks up a few years after the second installment and introduces us to a new family in Arizona who - after their new neighbor becomes sick - take in her little boy for a week. This kicks off a series of unexplainable events that culminates in shadowy figures flashing across screen and bodies being thrown about like rag dolls. The formula is pretty simple so the question remains, how did directors Henry Joost and Ariel Schulman get things wrong? For starters I think they got a bit caught up in connecting the backstory of Paranormal Activity 3 to the plot of 4. The allusions to the cult really bogged down the story and moved the film away from the nuts and bolts of what makes these kinds of movies work – namely terror grounded in loose reality. And in that same vein, the directors skimped out on the cheap thrills that horror films need to keep viewers alert and attentive. But where the film really goes awry is with the child actors. This is ironic, because I think it is safe to say that no one who has appeared in a Paranormal Activity film will ever be significant enough to even be nominated for a Razzie. Anyone can tell you that a bad performance from a child actor can completely destroy a film (i.e. Jake Lloyd in Episode I), and in this movie we are treated to that times two. Brady Allen and Aiden Lovekamp’s respective characters are responsible for too much of the tension in the plot and unfortunately the directors weren’t up to the task of piecing together the requisite performances. Everyone else in the cast is just competent enough. Kathryn Newton as Alex is fairly convincing as the de facto lead and Matt Shively somewhat funny as her bumbling sidekick. Alexondra Lee and Stephen Dunham are fairly vanilla and thus do not bungle the proceedings while Katie Featherston is her typical rigid and monotone self. Unfortunately, no one is skilled enough or up to the task of elevating this movie into the category of mediocrity. The final verdict then has to be a no, even for the most ardent fans of horror. The genre is so saturated with run-of-the-mill movies that will do a better job of keeping you at the edge of your seat, that there is absolutely no reason to waste ninety minutes of your life on a horror movie that isn't scary. Take a pass on this one and hope that the next one (scheduled for release on Oct. 25) gets back to that winning formula. Jennifer Lawrence is putting together a very nice resume – The Hunger Games, X-Men: First Class, Silver Linings Playbook. It’s got a little bit of everything - a box office blockbuster, a genre film, and one that is critically acclaimed. I don’t think it is a huge stretch to say that - barring a Lindsay Lohan-esque meltdown - Lawrence is well on her way to a healthy run as a successful actress. I suspect that many years from now when they put together her highlight reel, they will most likely leave off any clips from House at the End of the Street. The movie follows a mother and daughter (Elizabeth Shue and Jennifer Lawrence respectively) as they move to a new town in search of a fresh start. The house they move into is situated next to a home where a double homicide occurred. Still residing in the home, is the family’s lone survivor (Max Thieriot). Strange things ensue in and around the house and its occupant that make Lawrence’s Elissa suspect that things are not exactly as they seem. If the end of my synopsis seems incredibly vague, it’s because I want to preserve what little surprise there actually is in this film. To say that the ending is telegraphed would be a gross understatement, but that is not where the film ultimately fails (as there are really only so many twists and turns that horror film can make). The issue at hand is the complete lack of suspense embedded in this narrative, which is especially surprising since it was marketed as an old school suspense thriller. At every turn, the film gets bogged down in tedious exposition and sidetracked by extraneous plot threads. The result is a slow run-of-the-mill story occasionally spiced up with a cheap thrill. I don’t know what the cast could have done to overcome the writing of David Loucka. However, whatever it is, they did not do it. In this movie, Jennifer Lawrence comes off as just another actress in a tight tank top. There’s not a lot to her character beyond stock defiance and rebellion, and you could have cast nearly any other actress and produced the same movie. She wasn’t terrible, but she just wasn’t very good. Elizabeth Shue as her mother is fairly nondescript. Shue is a decent actress who tends to deliver credible performances and in a mediocre role she does just enough not to be terrible. 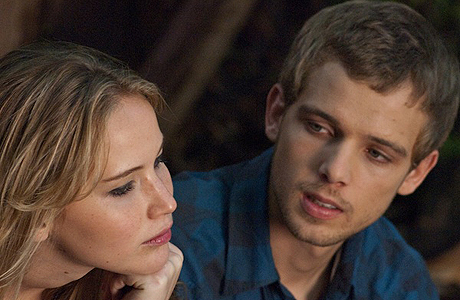 The only other person in this cast of any significance is Max Thieriot as the next-door neighbor, Ryan. His is the most complex of all the characters in this movie and probably the most challenging to portray. Unfortunately, Thieriot’s performance is highly uneven as there are times where his character has depth and feels flawed, and others when it feels like you are watching a high school drama club performance. Of all the performances, his is the most damaging as much of the suspense is derived from the mystery surrounding his character. I don’t think there is much else to say about this movie. When you describe a movie’s three principle performances as not very good; “just enough to not be terrible;” and “highly uneven” respectively, that more or less tells you that this is a movie you should let slip off your radar. If on a random night winter’s night, you happen to stumble onto this one on TBS, TNT, or FX and can’t find the remote control to change the channel, it might be a perfectly mediocre way to pass a hollow ninety minutes. Any effort beyond pure happenstance to see this will completely obliterate what minute entertainment value it has. In regards to Jennifer Lawrence, I suspect that we won’t be seeing her again in a film like this any time in the near future. Standout Performance: Gil Bellows. As Officer Weaver, Bellows comes off as affable. The Words is a movie that had a couple of really good things going for it – namely good looking people and some actors who can really act. Those two things together usually make for a successful film as it has a little something for everyone; attention to the acting craft for cinema purists and eye candy for those whose movie interests are a bit more narcissistic. Still, something went awry with this film that kept it from being the movie it should have been, and in my opinion, it was a matter of writers/directors Brian Klugman and Lee Sternthal getting a bit too clever for their own good. The plot of the movie details the story of a struggling writer (Bradley Cooper) and his rise to fame on the merits of another writer’s work, which he finds in an old briefcase. Intertwined with that plot line is the story of the anonymous Old Man who discovers what has happened with this novel and not only reveals his identity to Cooper as the true author but also details the inspiration for his novel. But really, all this is movement is in fact a piece of fiction being read by Dennis Quaid’s Clay Hammond at a public reading. Too many stories, within a story, within a story really throw this narrative off balance. No one plot line has enough meat on the bones to act as a stand-alone feature, but the toggling between multiple layers in this film really hinders the congruency vital to make this narrative work. The editing and pacing truly do the film no favors as each time one of the threads hits its stride, the viewer is explicably yanked away to a different time and place. The acting though is surprisingly better than I thought it would be. Bradley Cooper has received a lot of accolades for his work in Silver Linings Playbook, and I would say that his work in The Words is on par with that. I don’t think either performance is Award Season worthy, but he added an unexpected level of credibility to the role. Zoe Saldana as Cooper’s paramour is under utilized and thus not allowed to make much of an impact. Jeremy Irons as the Old Man turns in an average Jeremy Irons’ performance, which is to say that he is very solid. He could probably read a dictionary an instill it with an impressive mix of class and gravitas. As for Nora Arnezeder and Ben Barnes as Celia and the Young Man, I found their work to be charming. The part of the film that was the weakest for me was the true present day portion of film helmed by Dennis Quaid and Olivia Wilde. Not only was it the least compelling narrative, but I also felt that the acting left much to be desired. Quaid is on an extended run of playing each role looking as if he hasn’t slept in three days, and the streak continues here. At the very least you want it to seem like actors are really trying, and it seems as of late that Quaid has resigned himself to mailing it in. As for Wilde, she’s window dressing – nothing more and nothing less, and whatever gift for acting she possesses is most certainly not on display in this film. So what’s the final verdict? I didn’t loath myself after watching this film, but about half way through I wanted it to hurry up and be over with so I could just see how it would end; not exactly a ringing endorsement – to say the least. If you really love movies, then I suggest you stash it somewhere on your rental queue (or however else you make your choices), and when you’ve run out of films you really wanted to see, give it a look. If you’re more of a casual viewer, then you should steer clear of this one. There’s not enough there to truly make it worth your while. And for those who find themselves unsatisfied with Zoe Saldana’s screen time in this film, here’s hoping she gets to do more heavy lifting in the much anticipated Star Trek Into Darkness. Standout Performance: Nora Arnezeder. In very little screen time I found her work to be compelling as she did a great job of telling a story despite a paucity of spoken lines. There are bad movies and then there are bad movies that feel like they are poisoning your mind. The Paperboy is a perfect example of the latter. Grainy film, striking colors, and bad haircuts – this film is a hot mess of every stigma and stereotype associated with the early 1970’s in the southern part of the United States. Throw into the mix rampant oversexed sensationalism and really bad acting and what you are left with is the kind of camp that makes you want to never watch another Nicole Kidman movie again. Granted, that’s not much of a sacrifice given her more recent work. The movie tells the story of Jack Jensen (Zac Efron) and his brother Ward (Matthew McConaughey) as they work to investigate the plight of Hillary Van Wetter, an inmate on death row accused of killing a corrupt sheriff. Along the way, they enlist the help of Yardley Acheman – Ward’s colleague at a Miami newspaper, and Charlotte Bless (Nicole Kidman), a woman who has fallen in love with Van Wetter through letters. The enterprising reporter looking to investigate a wrongful conviction is nothing new. But what makes this movie different from the others is the depths the creative team is willing to sink to in order to make this film feel edgy. Racism, sexploitation, closeted homosexuality, and caricatures representing the Deep South, it’s as if writer/direct Lee Daniels wanted to make sure he had all his bases covered. But really, what he is giving you is a twisted melodrama that would make even Jerry Springer blush. Zac Efron is the lead character in this film, but surprisingly, that’s not the biggest indictment against this film. Don’t get me wrong. Very little he does is good as he spends most of the movie looking longingly at Nicole Kidman with his usual complete lack of charisma. Matthew McConaughey, as his brother, more or less sticks to his typical shtick. Long hair? Check. Slow southern drawl? Check. Less than stellar performance? Check. Yet, McConaughey is also surprisingly not the biggest mark against this film. That title would have to go to John Cusack, who lately seems hell bent on undoing all the good will he has built up as Mr. Romantic Comedy. Like his work in The Raven, Cusack - as a white trash convict - is so far over the top that he derails what little is working in this film. His is just a cringe-inducing performance from start to finish. As for the biggest name on the marquee, Nicole Kidman, her performance is polarizing to say the least. Some view it as a risky and daring portrayal of an oddly complex character, while others have called it as a campy and vulgar performance turned in by an actress desperately looking to do something provocative to seize headlines. I am firmly in the latter camp as I found Kidman’s performance unconvincing and questioned many of the choices she made in regards to the role. Clearly, she is grasping for high-risk high reward roles to make her highly relevant again, but she backed the wrong horse with this film. Not only is this a terrible movie, but also it is completely inconsequential. There’s really not much more to say about The Paperboy. It’s a puzzling movie with very little entertainment value as it takes more than trying to be edgy and playing to stereotypes to put together a compelling story. Odd choices from start to finish make this a movie you are going to want to avoid at all costs. Luckily for you, it will not take much effort, because before reading this review, you probably never heard of this movie. And after finishing this review you probably never will again. Standout Performance: In an ironic twist, the person with the least amount of acting experience (Macy Gray as Anita Chester) turns in the best performance. Too bad it was all for naught.